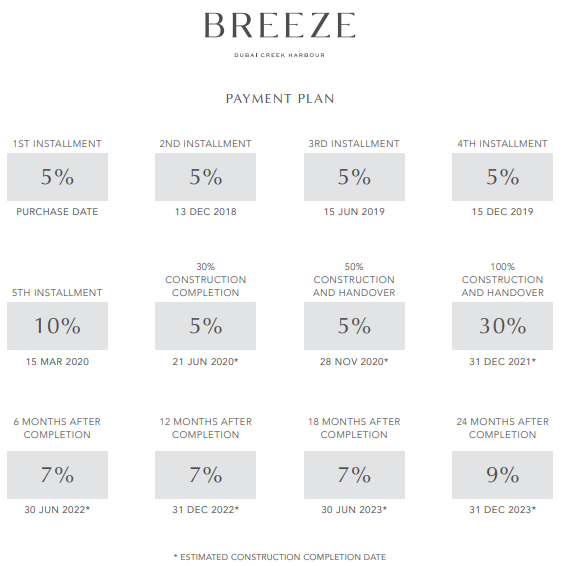 We are delighted to present Breeze at Creek Beach, a residential project that is part of a unique development in Dubai Creek Harbour. 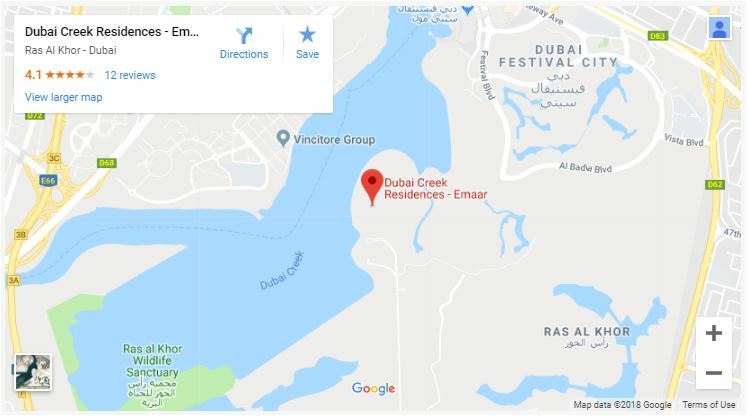 Breeze is the first residential offering in the newly announced community of Creek Beach, comprising three low-rise clusters and featuring a mix of one to three-bedroom apartments, plus three and four-bed penthouses. The buildings in Breeze will have a design that takes the simple aesthetic and functional aspects of Arabian architecture and presents them in a straightforward modern package. The apartment interiors will follow this theme as well, incorporating aspects of traditional Middle Eastern design and making extensive use of wood paneling to bring a warm, rustic element to the home. Adding a more contemporary touch, each home will have integrated smart home technology to control ambient systems and security. It will also serve as a personal concierge, so you can make restaurant reservations, book a taxi and order groceries with the touch of a button. A courtyard will sit at the center of the clusters, where residents can take a quiet stroll, relax with family, take a dip in a private pool or get in a workout at the glass-fronted and fully equipped gymnasium. 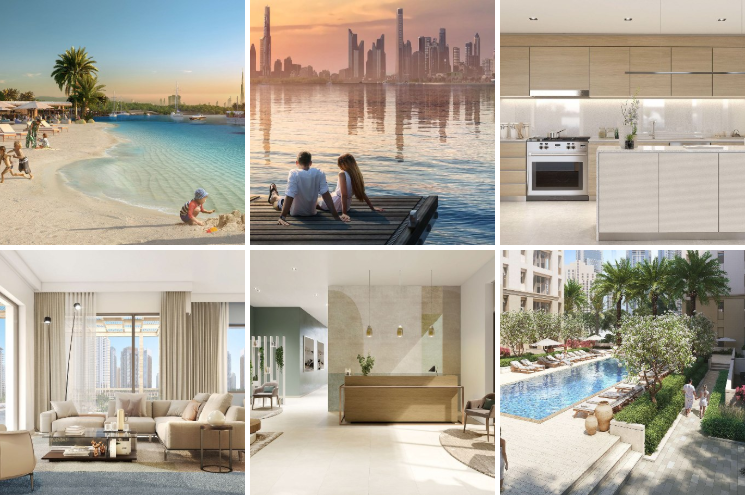 As part of Creek Beach, the residences at Breeze will also have access to a pristine private beach in the heart of the city, overlooking the beautiful Creek Island and the Dubai Creek Tower. Vida, the luxury hotel group that has locations around the city, will also have a boutique hotel on Creek Beach, offering a range of five-star services and facilities such as Exhale Spa and licensed beachfront dining outlets. Residents will also have access to the mega retail centre known as Dubai Square, the Creek Marina, and plentiful parks and open spaces to enjoy a plethora of outdoor activities. 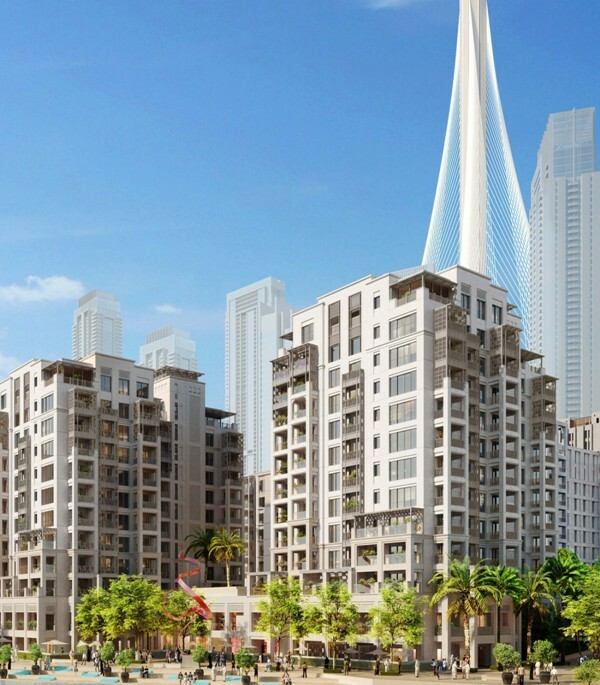 Creek Beach will offer an all-inclusive waterfront lifestyle the likes of which has not been seen in Dubai before.